The Jonathan Charles Upholstered Dressing Table Stool would make a wonderful accompaniment to a dressing table or vanity station. 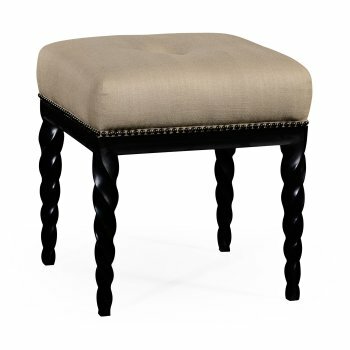 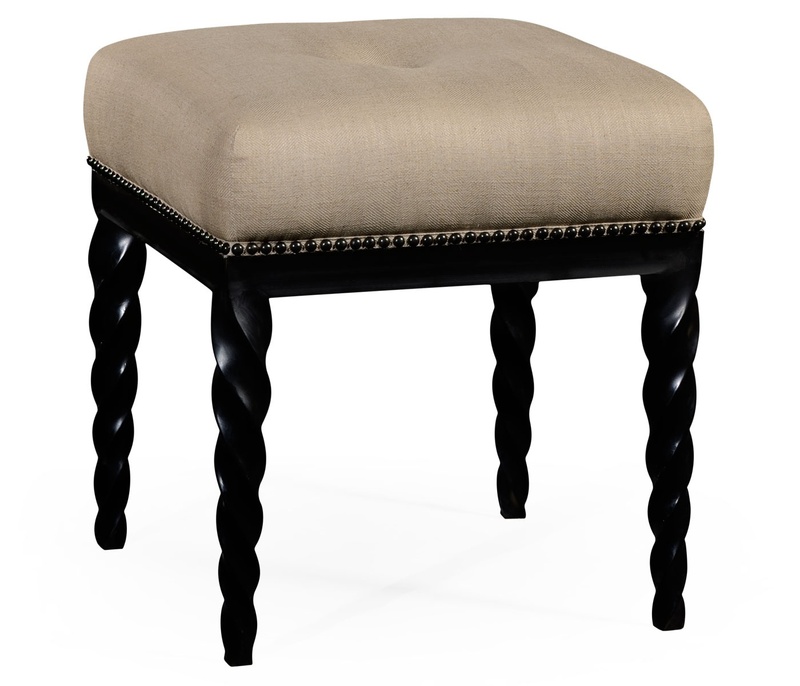 Contemporary styled black finish hand carved upholstered stool features the sharply defined tapering Barley twist legs. 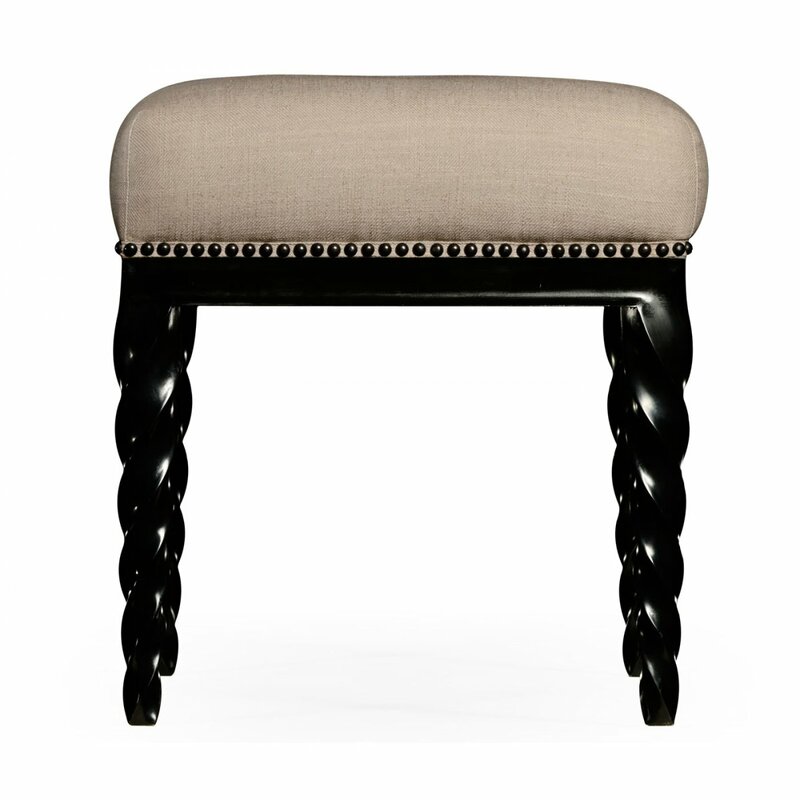 Coordinate with other furnishings from the Jonathan Charles Twist collection.